Jewell Handy Gresham-Nemiroff was born to schoolteacher parents in Wilcox County, Alabama, in the black belt region of the Deep South. 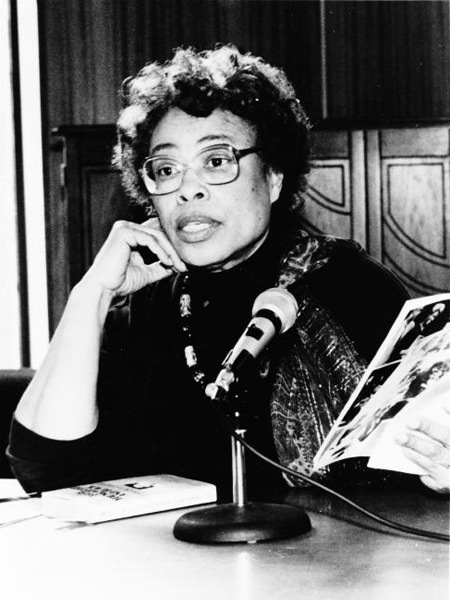 She was reared in Lafayette, Alabama, and earned her undergraduate degree at Tuskegee Institute (now Tuskegee University) followed by a master’s degree in English drama and literature from Columbia University and a doctoral degree in literature and language from Teachers College, Columbia University in New York. Dr. Gresham taught at Tuskegee Institute, New York University, Hofstra University, Nassau Community College, and Vassar College. Her writings include critical essays on William Faulkner, James Baldwin, Lorraine Hansberry, and Toni Morrison and a play treating the life and works of Henry David Thoreau entitled At This Hour. Dr. Gresham carried on the work of her late husband, Robert Nemiroff, as literary executor of the estate of Lorraine Hansberry. In 1995, she founded the Hansberry-Nemiroff Archival Educational and Cultural Fund devoted to the contributions of the artist to American arts and letters and to Hansberry’s deep concern with human rights. In 2000, the Hansberry-Nemiroff Fund launched a major project called “Race and Democracy” to encourage citizen participation in examining the interconnectedness of race, racism, and democracy. The first public program treating this theme was launched at Town Hall in New York City. The first international conference was held in Stockholm, Sweden from August 28–30, 2000. The project was a sequel to The Nation special issue by African American women a decade before, expanded to the international level. That same year Dr. Gresham transferred the Lorraine Hansberry Papers to the Schomburg Center for Research in Black Culture in New York City, fulfilling Robert Nemiroff’s intent to make the documentary record of Hansberry's life and work accessible to the public. In 2004, Dr. Gresham was one of the primary individuals responsible for bringing Lorraine Hansberry’s A Raisin in the Sun to Broadway, marking the 45th Anniversary since the original Broadway production made history. This production went on to earn four Tony nominations and two awards for Best Actress and Best Supporting Actress in a Drama.